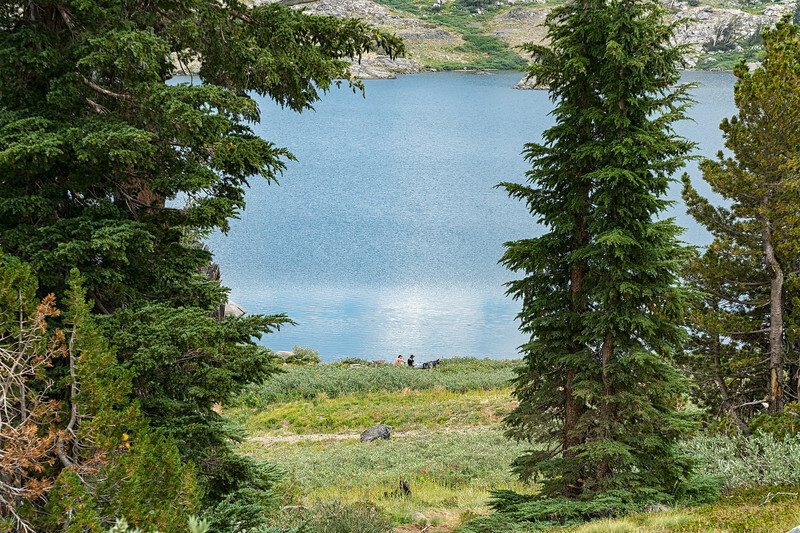 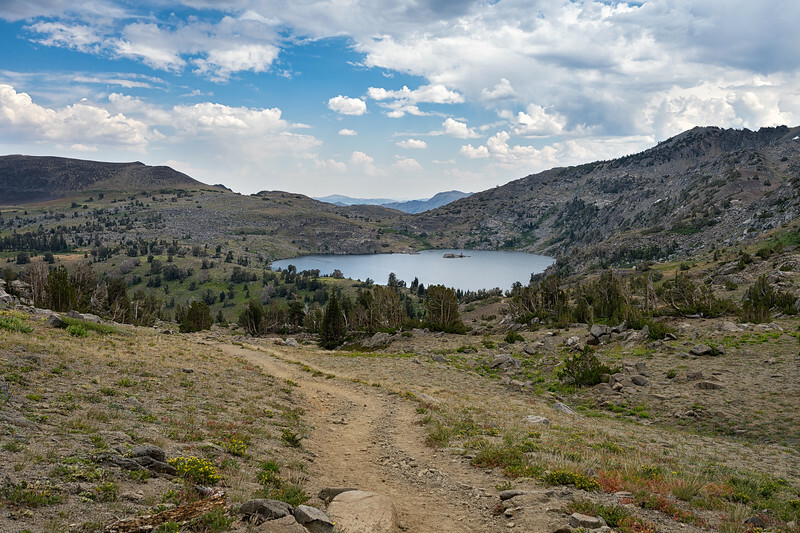 Looking towards the Lost Cabin Mine from the trail to Round Top Lake. 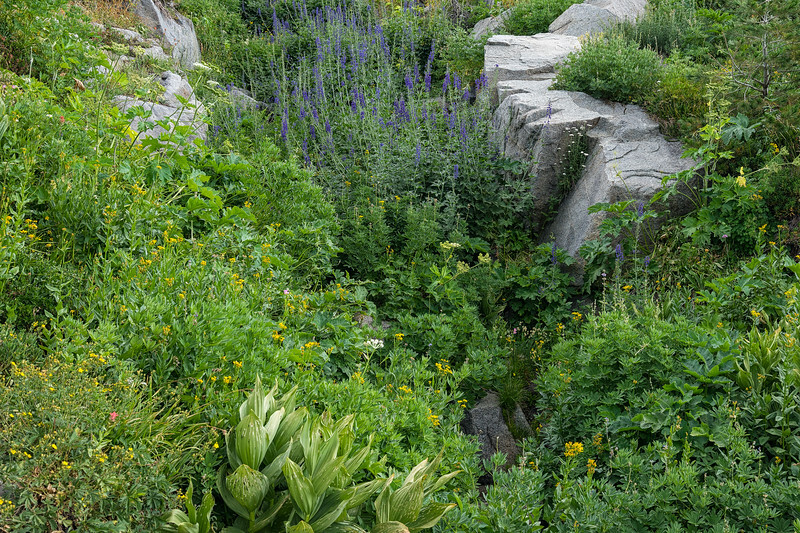 A small waterfall cascades to the mine site. 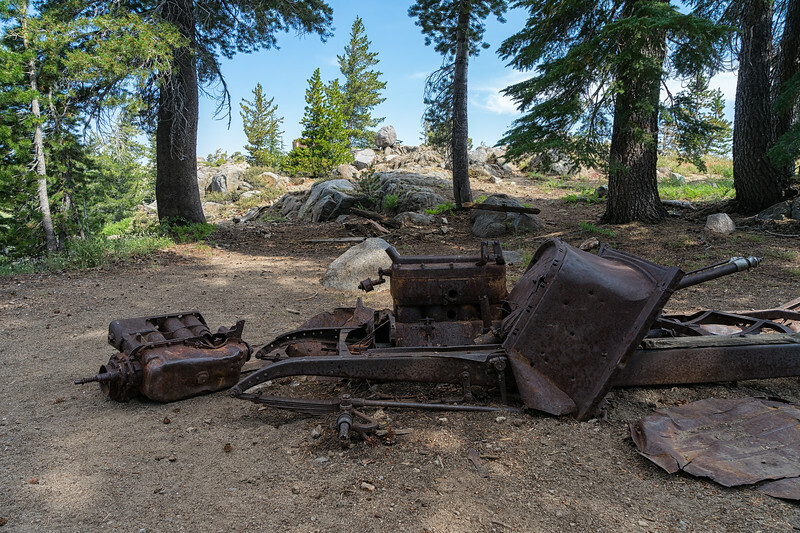 Stumbling across an old car chassis near a mine site on the trail to Round Top Lake. 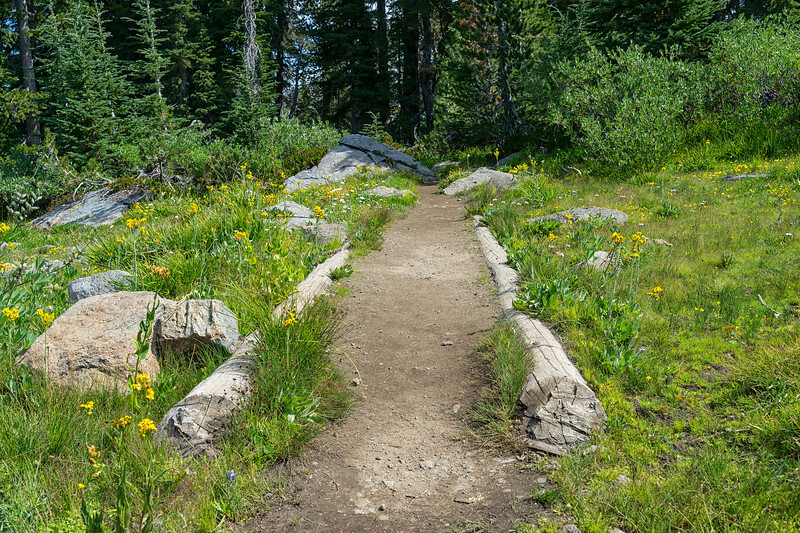 Wildflowers on the trail to Round Top Lake. 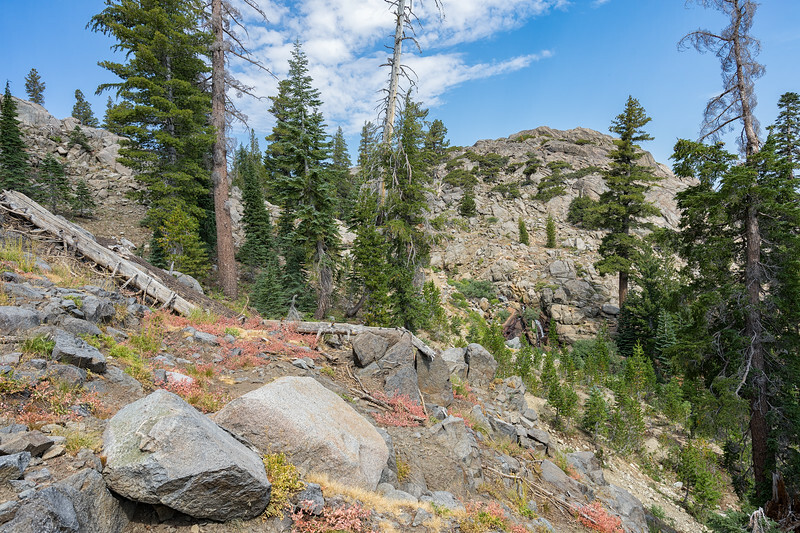 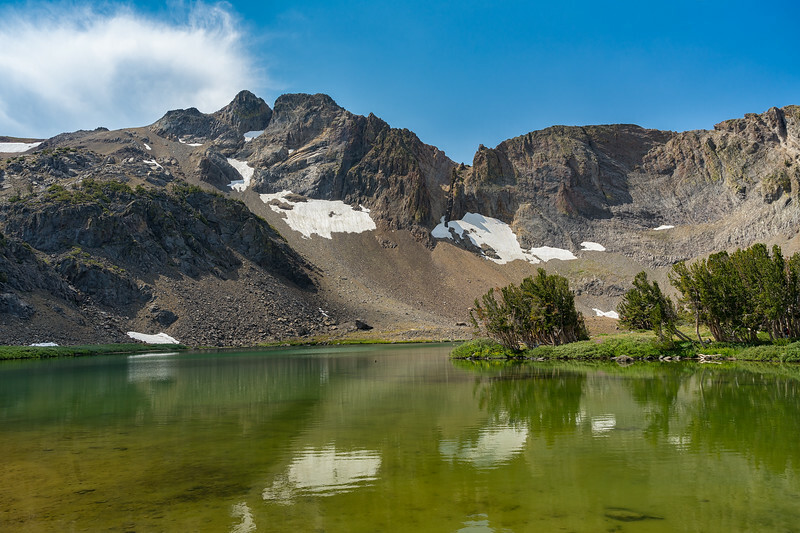 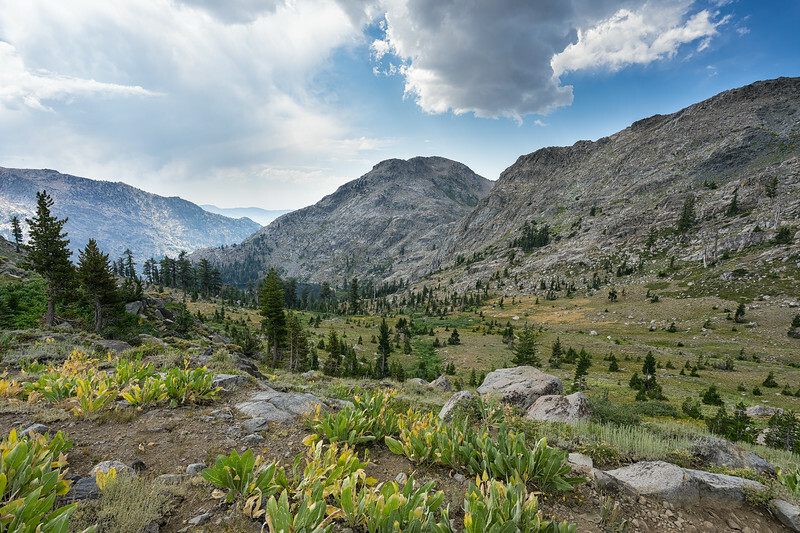 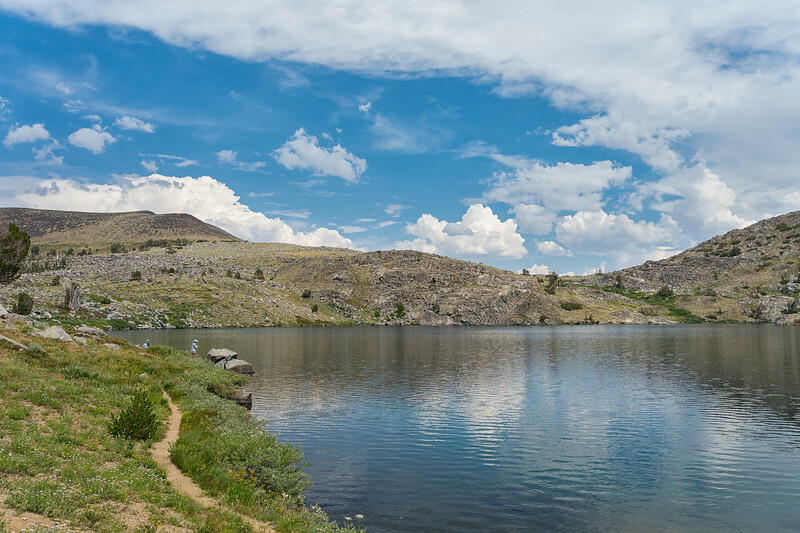 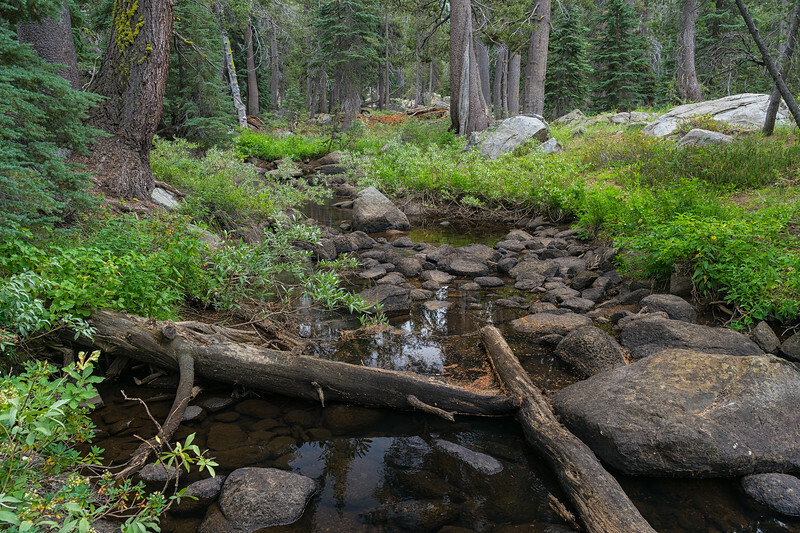 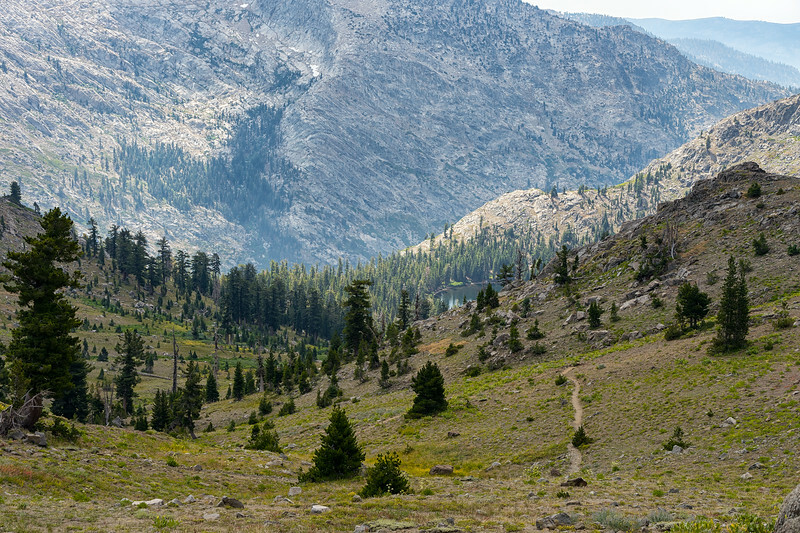 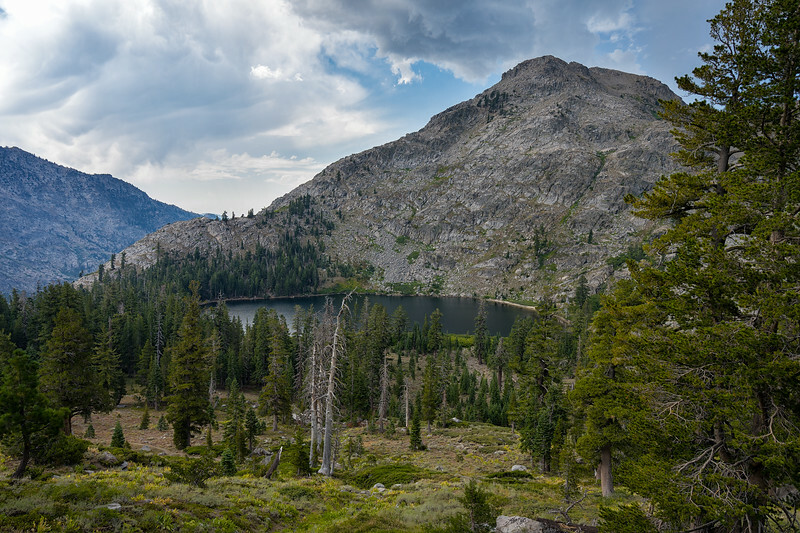 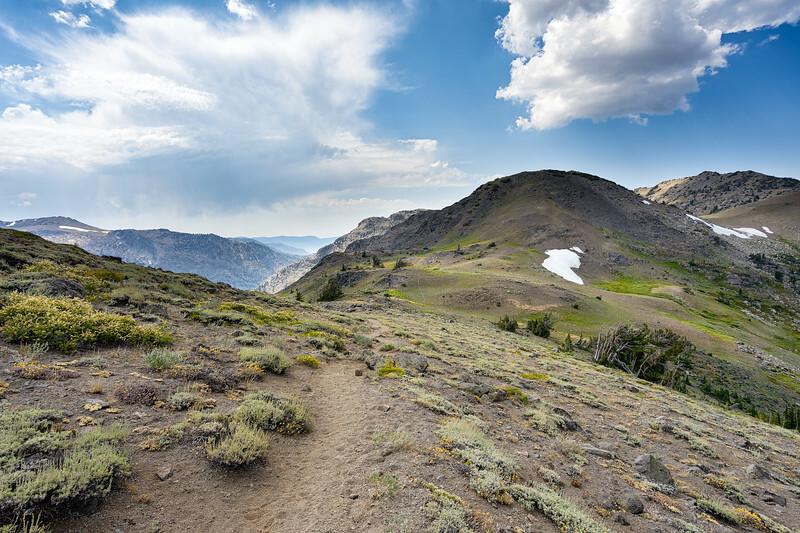 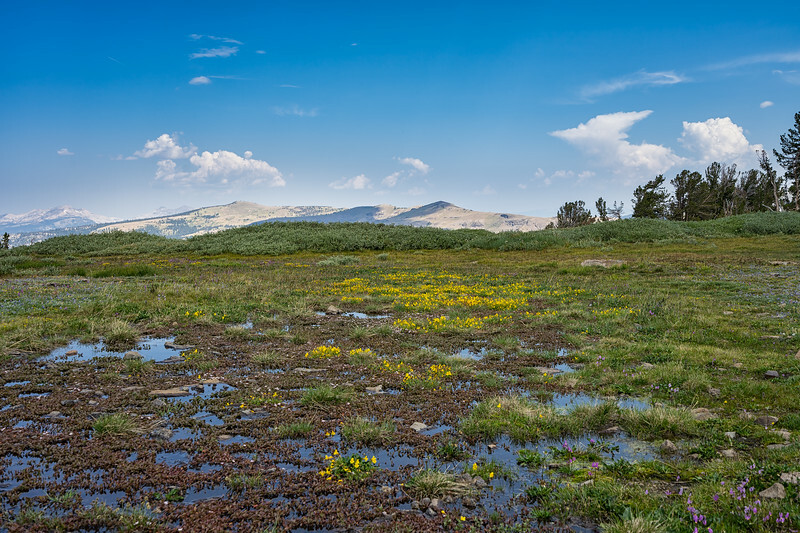 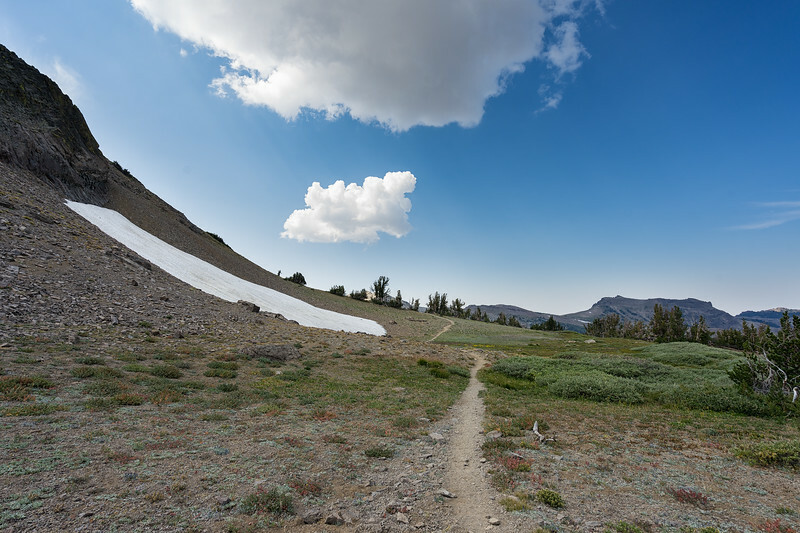 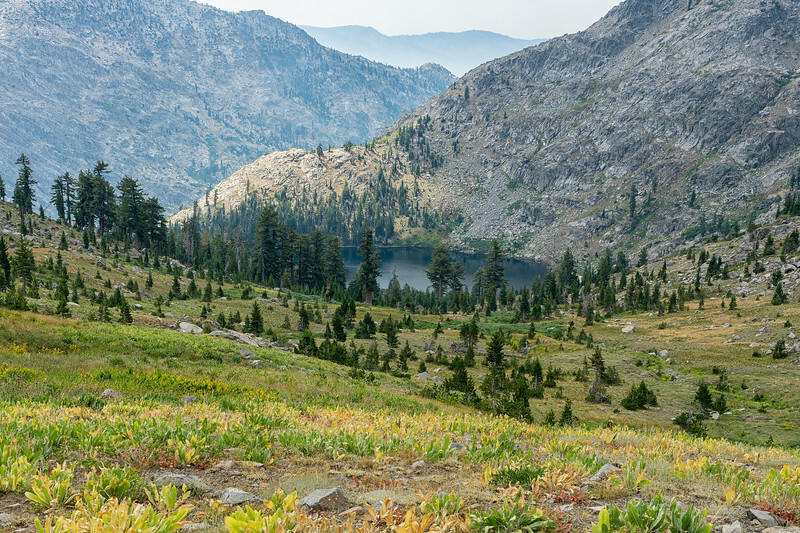 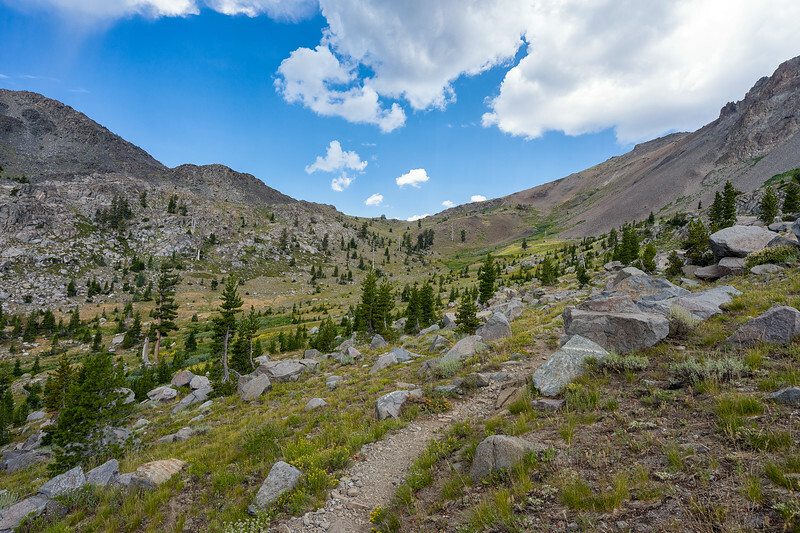 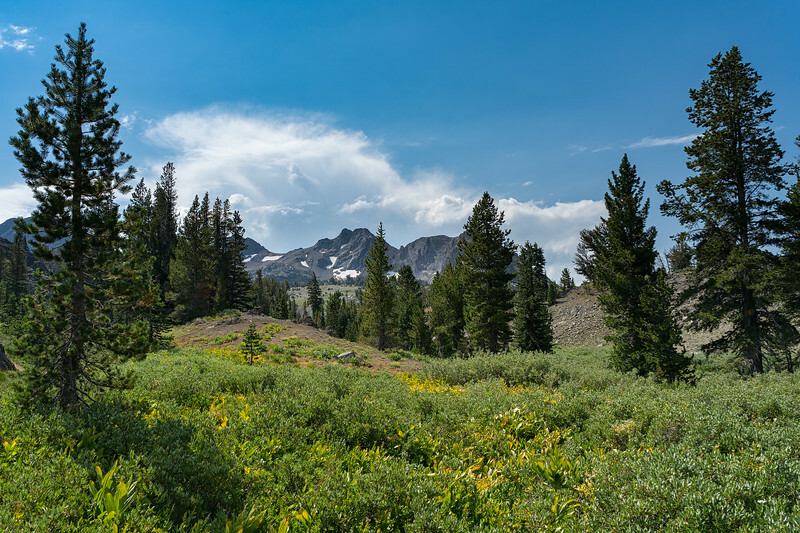 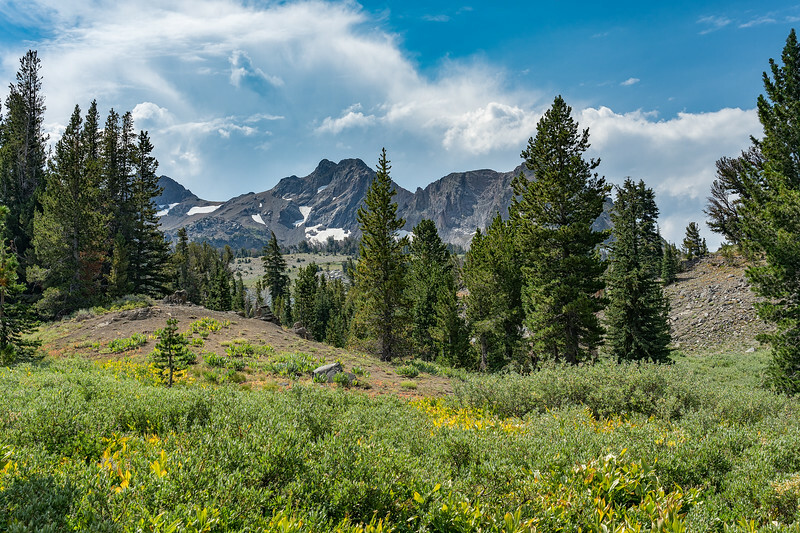 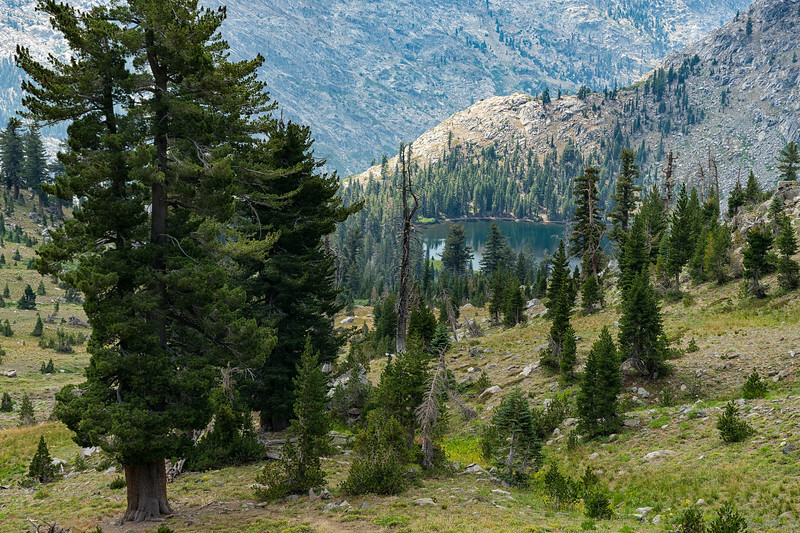 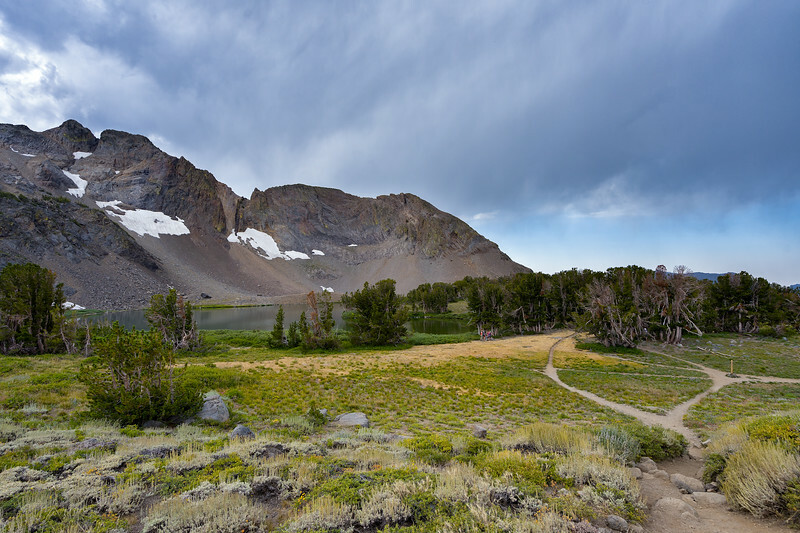 A view of The Sisters from the meadow entering the Mokelumne Wilderness. 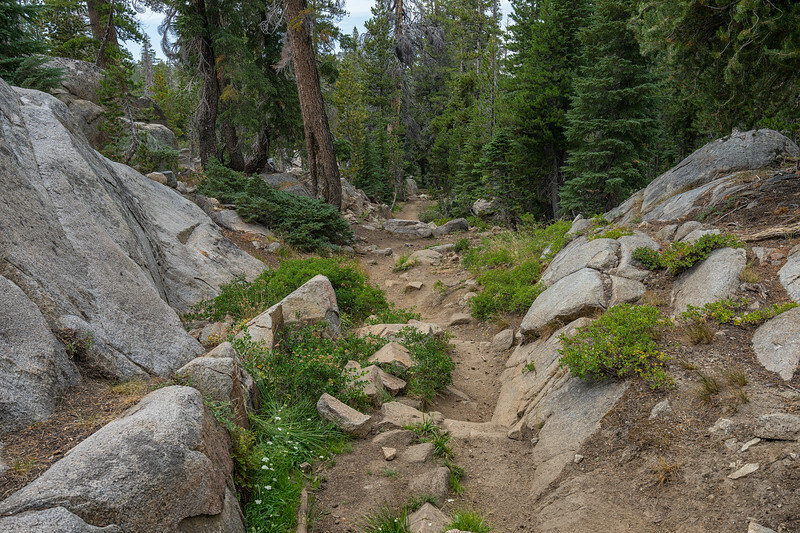 Trail junction at Round Top Lake. 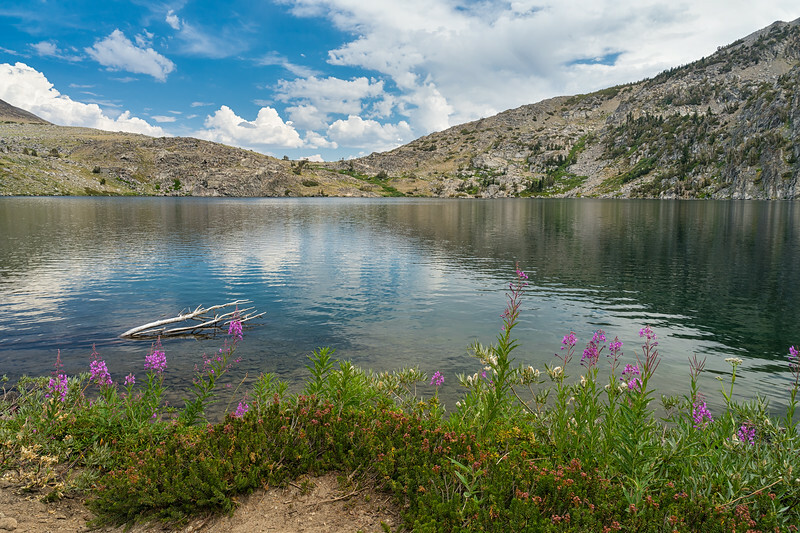 Wildflowers growing on the shore of Winnemucca Lake. 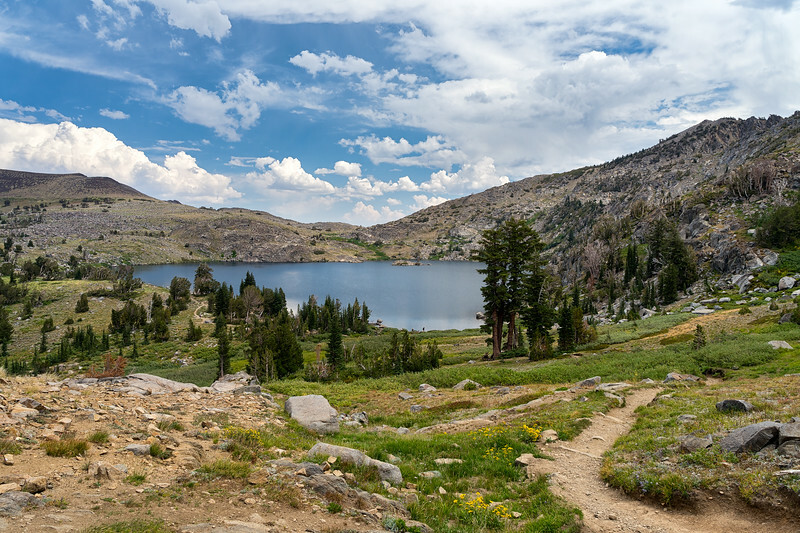 Fourth of July Lake visible from the trail to said lake.